When it comes to long distance moves, UMEX Moving & Storage, Inc. is a company you can trust and rely on to deliver on all its promises to get you to your new home expeditiously and on time based on your schedule and requirements. There is a lot to contemplate when moving long distance and a lot to prepare for and tons of anxiety. That is exactly why you should call UMEX Moving & Storage, Inc. to take some of this moving load off of your shoulders. Why consider UMEX Moving & Storage, Inc. when moving long distance? Because you don’t need more stress, complications, damages, uncertainty, loss or stolen items and excuses and more excuses. What is different about the UMEX Moving & Storage experience? Weight, Cubic feet or space based quotes. Long distance moves are, typically, being delivered from their origin to destination on a high capacity, large moving trailer. Customers share and pay for the space or weight their household goods takes on the trailer and the cost, thus, is shared prospectively between all the customers on the trailer. Most movers would pick-up your items on a small, local truck, drive back to their warehouse, unload into their warehouse and wait to book other customers who move to similar or on route destinations. In order to save cost, movers hold your furniture for as long as possible before selling or buying your load to or from other carriers. Since it is cheaper for them to perform the delivery with their own trucks, they would avoid selling or buying loads for as long as they can put up with your complaints about the delays. Once forced to either sell or buy loads from like minded carriers, they begin the process of looking for one. Although most carriers would tell you that they only work with other carriers they know, verified their credentials and reputation, in reality it is far from the truth: They would engage with almost anyone who head your way. Remember! At this point you’re already few weeks in, demanding discounts, threatening to take legal actions and so forth so they would not be “picky”. At UMEX Moving & Storage, Inc. we would never have your items mingled with others. A third party carrier doesn’t know you, doesn’t care about you or your valuables, and doesn’t care about your complaints (you wouldn’t even have its name or contact information). Third party carriers DO care a lot about their proceeds from the transactions made with your mover. When profit is your ONLY motivation, especially when no liabilities are attached or being risked, than you can expect long delays in delivery, damages, extra charges, which were not agreed upon, bad attitude, incomplete service etc. When your mover sell or buy loads from other movers he would exchange the blankets which are used to wrap your furniture with the other mover. The blankets that are being used by most movers are ragged looking, smelly, and might be infested, however, the blankets that they receive from the other mover would be even worse since that other mover would want to “get rid” of his dirtiest blankets in the exchange thus leaving your mover with the worst of the worse to be used on his next move. Would you deal with anybody that doesn’t care at all whether your items are damaged, how long it takes to deliver your load, come up with its own extra charges and its own sets of demands, does not fulfill promises made by the original carrier you entrusted your belongings to, demands tips and so on? Of course not. At UMEX Moving & Storage, Inc. we never entrust your belongings at other’s hands. In their guaranteed quotes, most movers leave opening for price increases (sometimes substantial increases) all depending on how aggressive and dishonest the mover is. If you receive an estimate (even if guaranteed) expect to see a weight, space, cubic feet or hours figure on the body of the estimate. Although the responsibility to obtain an accurate figure (which the entire estimate is based on) rest upon your mover, the dishonest mover would plead ignorance when asked why so much more, stating that you transported more items (note that it is nearly impossible to account for each and every item, its weight, size and/or the space it would take on the truck. Estimating boxes: their shape, size, weight that you may have upon completion of packing) that original specified. The dishonest mover is financially motivated to be as inaccurate in arriving at the weight cubic feet space or hours estimate. The mistake of the dishonest mover almost never favors you (meaning that they never overestimate and refund you). Now imagine how the rest of your journey with this mover would be if they greet you with a price increase slap. Our quotes are independent of all of the above. We take responsibility for the accuracy of the quote and absolved you, the customer, from the responsibility to accurately meet our criteria. Most movers will arrange for the pick-up with a small, local truck, bring your load back to their facility, and wait to accumulate numerous customers which share the same or on route destinations. Although on paper this method seems to make sense, in reality it involves many uncertainties, damages, infestations, loss items, crashed boxes, additional costs, and residual delivery. The delivery time frame your mover vouches for is not written on stone and too often extended by weeks. In between hoping for incoming loads soon, your mover would ignore your calls, provide vague answers to your requests for delivery time and even outright lie, stating that it is on route (just to get you off the phone) and inform you of a truck breakdown in order to avoid responsibility. The more times you move your items unnecessarily, the more prone they are to damage. In addition, movers try to fit into one trailer an amount that is not meant to fit, thus squeezing, shoving, and pushing boxes in frustration and desperation to get it all on one truck. They would step on your items or haul the remaining items outside the trailer inadequately covering them and exposing them to the elements. Since you share a truck with others and your items are mixed, whatever friendly or otherwise creatures they got on their belongings will get onto yours as well. This problem can occur regardless of whether a third party mover is involved or not. Nearly all movers are using the same type of inventory stickers to identify your belongings and separate them from other loads whether in storage or on the truck. Those stickers, however, often times fall off and are delivered to the wrong party. High capacity trailers are utilized to transport your goods. Since it is costly to do so, movers do not subdivide (height or length wise) the trailer in order to prevent stress on your goods that are piled up very high inside. Boxes are being shoved into too small a space to fit their size, are stepped on and are stocked inappropriately (heavy on top of light etc.) in order to reduce loading time and maximize the amount loaded. As a result, boxes are being delivered looking more like brown paper bags. Boxes will not retain their integrity. 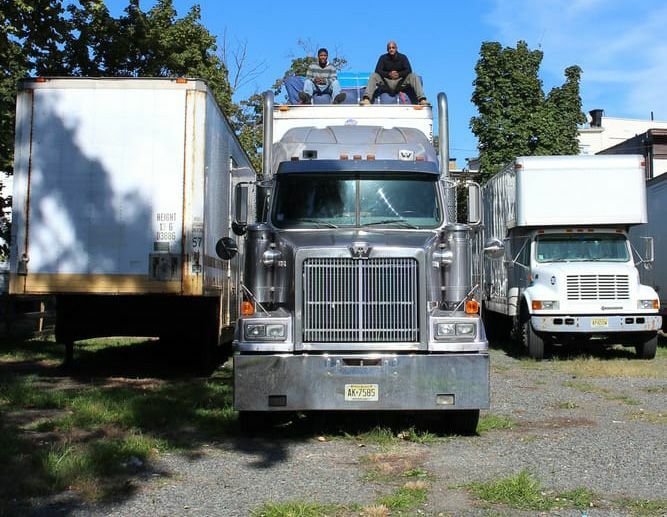 Labor: Since the typical procedure is to have a local truck pick up, transfer to storage than load onto the trailer, the extra labor of unloading into the warehouse and load again in preparation for delivery is redundant and costly. Storage: While the mover waits to have a truck load of goods (they will not ship out otherwise) your items will remain in storage for an unspecified amount of time and use expensive storage space. Claims: The process of multiple, redundant handling is more likely to increase the possibility to damages which, in turn, increase costly claims which increases the mover’s incentives to come up with extra charges. Movers make many mistakes in calculating the space on the delivery trailer. Often not all the items belonging to one customer would fit on the same trailer (including the outside trailer extension). Residual items are subjected to even greater abuse: not only are they subjected to all of the above handling twice, but they now have to contend with a frustrated mover too. UMEX Moving & Storage, Inc. avoids all of the above uncertainties, damages, extra cost claims and so forth by working on direct and exclusive deliveries where by the delivery date and time is known in advanced. There are no extra fees, damages are minimized, and loss of items and infestation are nonexistent.